How inviting is this entrance to Sambalatte Coffee Lounge?!?! Considering the fact that it is smack dab in the middle of the Las Vegas strip, it’s tucked away quite nicely. It’s located in the Monte Carlo, but when you first walk in, it feels like an escape from the flashing lights and smokey casinos! The outside is honestly what lured me in! I figured, with a place this attractive on the outside, the coffee must be great on the inside! The inside was just as swanky. 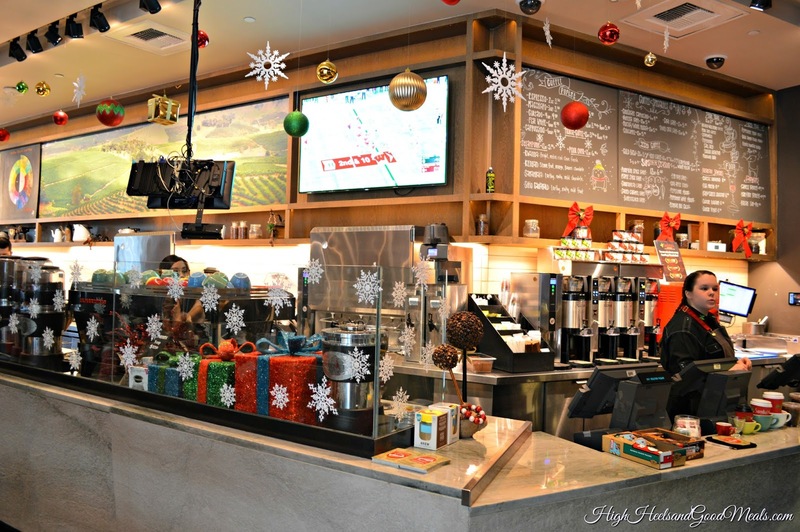 It had everything you’d want in a coffee lounge! 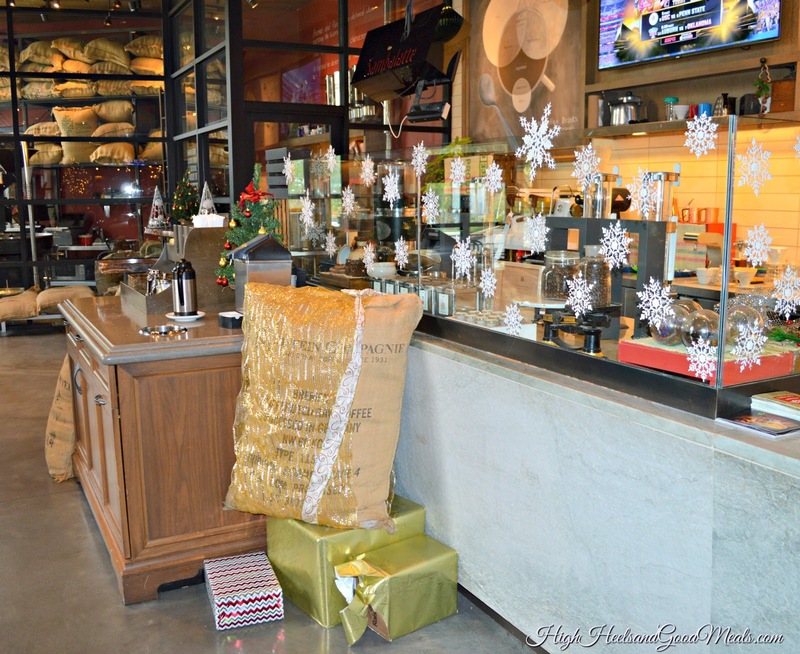 Intoxicating aromas of gourmet coffee beans from around the world, large lounge chairs for reading a book while sipping on your latte, outdoor seating near beautiful heaters, soft music, huge bags of coffee beans on display, cool wall art, and wifi! Not to mention the cute Christmas decor! 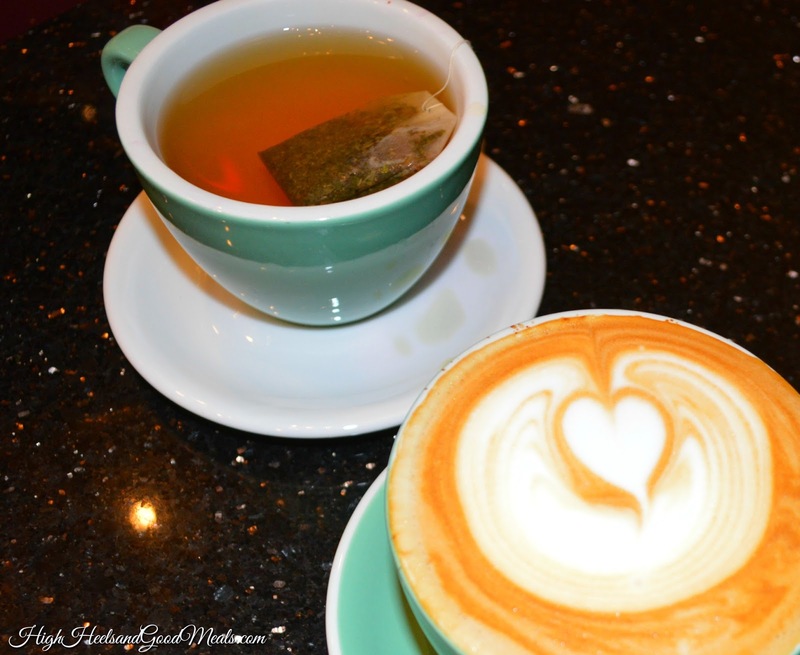 The menu had a variety of things including teas, pastries, breakfast sandwiches, lattes, iced coffees, and much more. They strive to give their customers an authentic coffee cafe experience so I knew a latte was what I was going to have. For the latte art of course! I asked one of the baristas which one she recommended and she insisted on the Nutella Latte. So that’s what I went with! My cup was filled to the brim with frothy goodness so it was a challenge getting it back to my table with out messing up the latte art but success prevailed! I didn’t spill a drop! 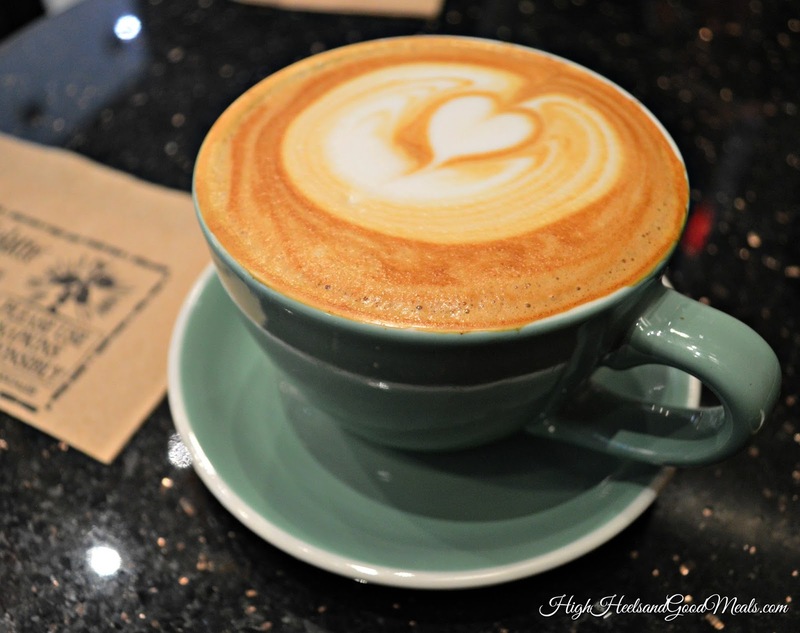 I recently tried a Nutella Latte for the first time, back in Jacksonville at Southern Grounds Coffee (here) and it was one of the best lattes I have had so this one had a lot to live up to. It was good but it had nothing on the one back in Florida! My mom was with me and got a cup of green tea. I don’t think you can mess that up! She was feeling a little under the weather and she said it made her feel a little better! Overall, I was pleased. 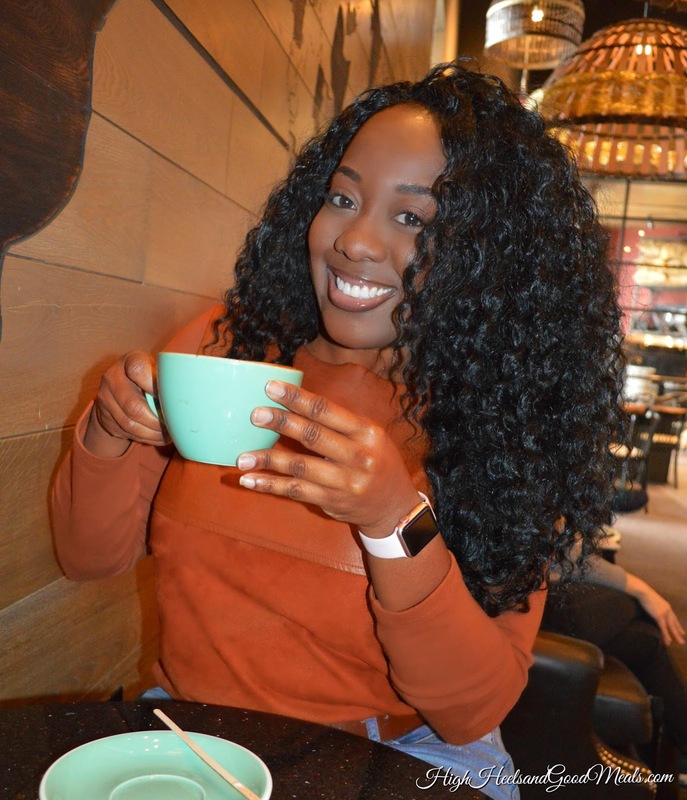 It is definitely a welcomed change from your day to day chain coffee shops. Local is always better anyways! 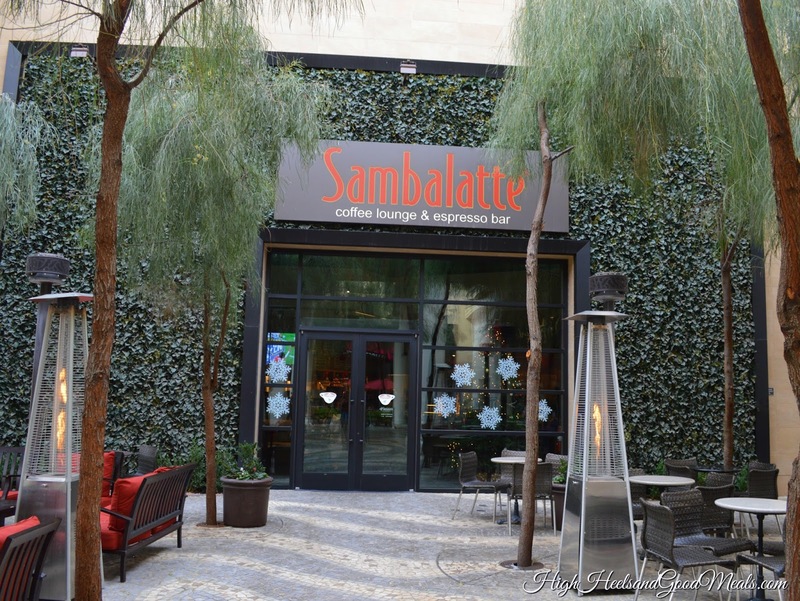 Sambalatte only has 3 locations and they are all in Vegas! Next time I go, I going to try the rainbow latte! Well maybe…I’m not sure how I feel about food coloring in my latte, but it looks pretty! Previous Post Casual But Cute!